When Malaysians were first introduced to the largest social communication platform in China – WeChat, it was just a messaging app. But now, WeChat has grown into something much bigger. Last year, Malaysia became the first foreign country in the world outside of China to have WeChat Pay MY enabled in a local currency. 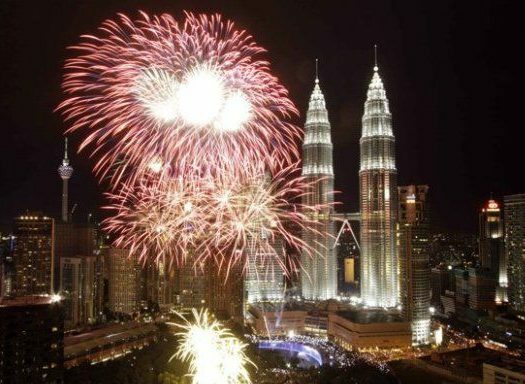 It isn’t a surprise knowing that there are millions of WeChat users in Malaysia. 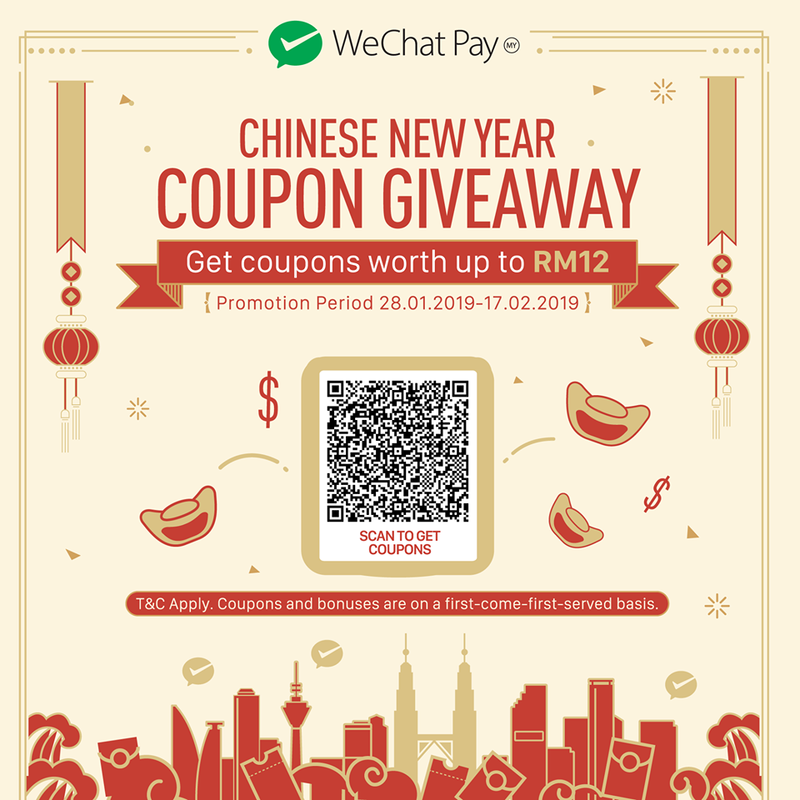 Since Chinese New Year is coming up, WeChat Pay MY are rewarding Malaysians with activation promos and a chance to win up to over RM5000 in coupons and cash. Ka-ching! You’re just in time as this special festive promotion runs from 28 Jan until 17 Feb ’19 on a first come first serve basis. 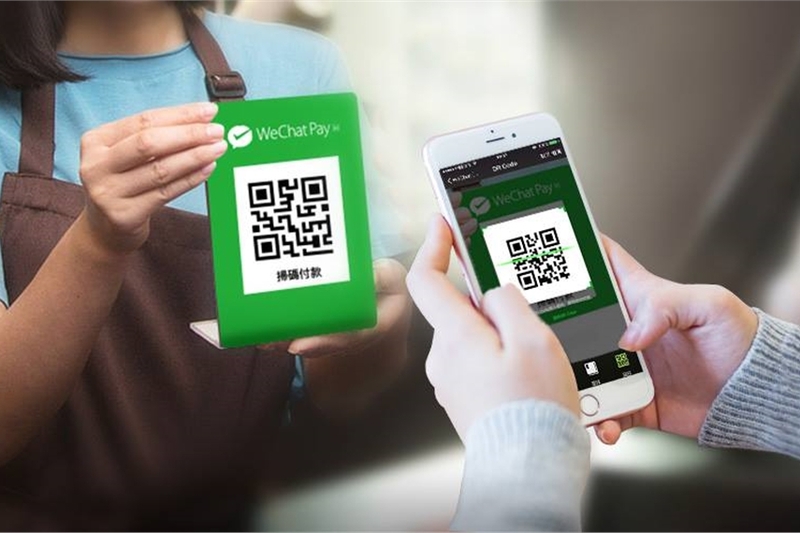 If you’re a WeChat Pay MY user, get ready to win a variety of cash coupons and money packets. And if you’re not, then now’s the time to join the cashless revolution as WeChat Pay MY are giving you RM12 in coupons just for activation. Very important!–for those who are currently running on an older version of the WeChat app, you have to reinstall or update it to the 7.0.3 version to enjoy these promos. 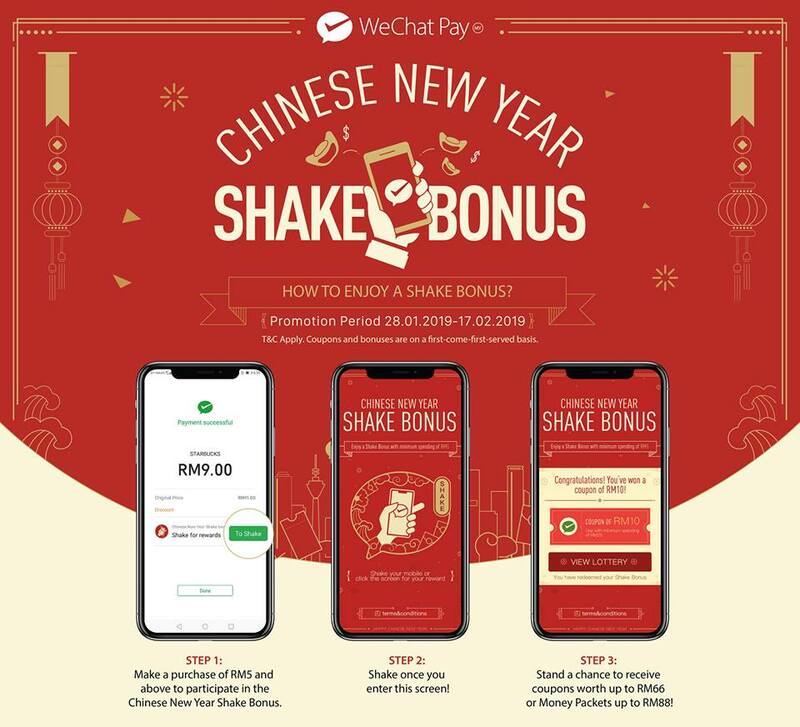 To make Chinese New Year merrier this year, go ahead and find a store that you can use your WeChat Pay MY wallet and spend RM5 or above. Once you complete your purchase, you’ll immediately get a Shake Bonus. Select that and get ready to shake that phone of yours to conjure some ong! 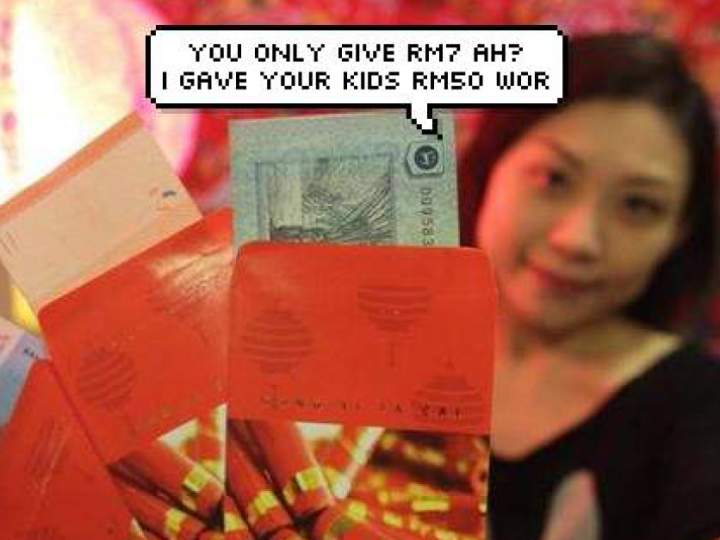 Just by doing this, you have a chance to win coupons worth up to RM66 or receive angpao – Money Packet of up to RM88. The coupons are valid for 14 days from the day it’s received and only one coupon can be used per transaction. If you have more than one coupon, the one with the highest value will automatically be used first and if your coupons are all of similar value, then the coupon with a nearer expiry date will be used first. 1. Log in! Yes, it’s as simple as that. You can immediately claim a coupon of RM2 on the landing page as soon as you log into your WeChat Pay MY. Just make sure to update or reinstall the WeChat app to the 7.03 version to be entitled for this. 2. Once you’ve logged in, top up your WeChat Pay MY wallet with RM10 or more and this will allow you to redeem an additional coupon of RM5! 3. Lastly, bind your WeChat Pay MY wallet to your debit card and you’ll be richer with another coupon of RM5. Ta-da! That’s RM12 in coupons just waiting for you. The coupons that you will get can be utilised at all WeChat Pay merchants (subject to a minimum spending of RM10). Life has never been easier by going cashless using WeChat Pay MY. It’s less the hassle of conventional payment methods–like if you forget to bring your physical wallet before dinner with your mates, you can just transfer it to them using the Money Packet feature. Stop sleeping on this app, going cashless is the future! To download WeChat, click here for Android, or click here for iOs. For more information on WeChat Pay My or the giveaway above, click here. 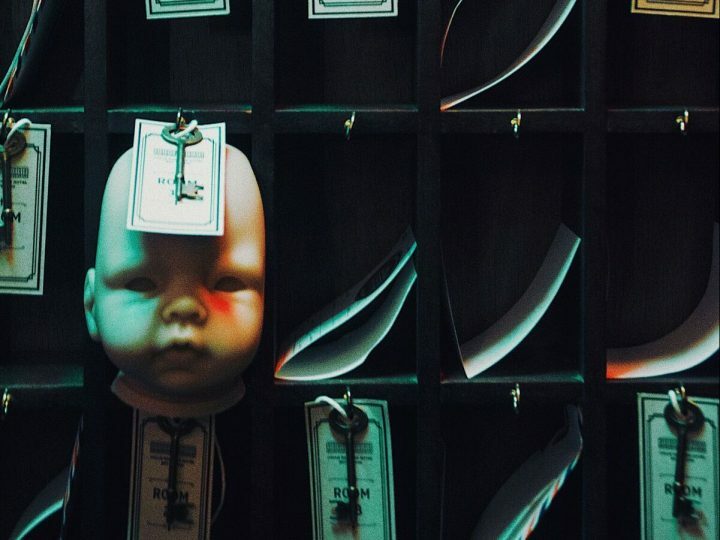 Save yourself from these 8 types of relatives. Who would’ve thought that boba tea would be the number one order on NYE?